Pentecostalism or Classical Pentecostalism is a renewal movement  within Protestant  Christianity that places special emphasis on a direct personal experience of God through baptism with the Holy Spirit. The term Pentecostal is derived from Pentecost, the Greek name for the Jewish Feast of Weeks. For Christians, this event commemorates the descent of the Holy Spirit upon the followers of Jesus Christ, as described in the second chapter of the Acts of the Apostles. 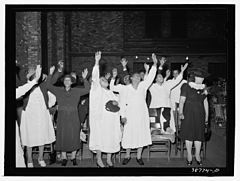 Pentecostalism emerged in the early 20th century among radical adherents of the Holiness movement who were energized by revivalism and expectation for the imminent Second Coming of Christ. Believing that they were living in the end times, they expected God to spiritually renew the Christian Church thereby bringing to pass the restoration of spiritual gifts and the evangelization of the world. 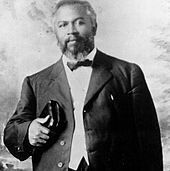 In 1900, Charles Parham, an American evangelist and faith healer, began teaching that speaking in tongues was the Bible evidence of Spirit baptism and along with William J. Seymour, a Wesleyan-Holiness preacher, he taught that this was the third work of grace. 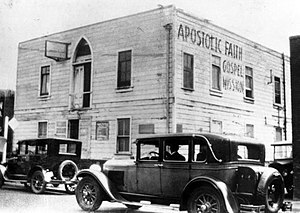 The three-year-long Azusa Street Revival, founded and led by Seymour in Los Angeles, California, resulted in the spread of Pentecostalism throughout the United States and the rest of the world as visitors carried the Pentecostal experience back to their home churches or felt called to the mission field. While virtually all Pentecostal denominations trace their origins to Azusa Street, the movement has experienced a variety of divisions and controversies. An early dispute centered on challenges to the doctrine of the Trinity. As a result, the Pentecostal movement is divided between trinitarian and non-trinitarian branches, resulting in the emergence of Oneness Pentecostals. For most Pentecostals there is no other requirement to receive salvation. Baptism with the Holy Spirit and speaking in tongues are not generally required, though Pentecostal converts are usually encouraged to seek these experiences. A notable exception is Jesus' Name Pentecostalism, most adherents of which believe both water baptism and Spirit baptism are integral components of salvation. Pentecostals are continuationists, meaning they believe that all of the spiritual gifts, including the miraculous or "sign gifts", found in 1 Corinthians 12:4–11, 12:27–31, Romans 12:3–8, and Ephesians 4:7–16 continue to operate within the Church in the present time. Pentecostals place the gifts of the Spirit in context with the fruit of the Spirit. The fruit of the Spirit is the result of the new birth and continuing to abide in Christ. It is by the fruit exhibited that spiritual character is assessed. Spiritual gifts are received as a result of the baptism with the Holy Spirit. As gifts freely given by the Holy Spirit, they cannot be earned or merited, and they are not appropriate criteria with which to evaluate one's spiritual life or maturity. Pentecostals see in the biblical writings of Paul an emphasis on having both character and power, exercising the gifts in love. Just as fruit should be evident in the life of every Christian, Pentecostals believe that every Spirit-filled believer is given some capacity for the manifestation of the Spirit. It is important to note that the exercise of a gift is a manifestation of the Spirit, not of the gifted person, and though the gifts operate through people, they are primarily gifts given to the Church. They are valuable only when they minister spiritual profit and edification to the body of Christ. Pentecostal writers point out that the lists of spiritual gifts in the New Testament do not seem to be exhaustive. It is generally believed that there are as many gifts as there are useful ministries and functions in the Church. A spiritual gift is often exercised in partnership with another gift. For example, in a Pentecostal church service, the gift of tongues might be exercised followed by the operation of the gift of interpretation. According to Pentecostals, all manifestations of the Spirit are to be judged by the church. This is made possible, in part, by the gift of discerning of spirits, which is the capacity for discerning the source of a spiritual manifestation—whether from the Holy Spirit, an evil spirit, or from the human spirit. While Pentecostals believe in the current operation of all the spiritual gifts within the church, their teaching on some of these gifts has generated more controversy and interest than others. There are different ways in which the gifts have been grouped. W. R. Jones  suggests three categories, illumination (Word of Wisdom, word of knowledge, discerning of spirits), action (Faith, working of miracles and gifts of healings) and communication (Prophecy, tongues and interpretation of tongues). Duffield and Van Cleave use two categories: the vocal and the power gifts. Besides acting as a prayer language, tongues also function as the gift of tongues. Not all Spirit-filled believers possess the gift of tongues. Its purpose is for gifted persons to publicly "speak with God in praise, to pray or sing in the Spirit, or to speak forth in the congregation". There is a division among Pentecostals on the relationship between the gifts of tongues and prophecy. One school of thought believes that the gift of tongues is always directed from man to God, in which case it is always prayer or praise spoken to God but in the hearing of the entire congregation for encouragement and consolation. Another school of thought believes that the gift of tongues can be prophetic, in which case the believer delivers a "message in tongues"—a prophetic utterance given under the influence of the Holy Spirit—to a congregation. 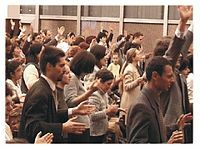 Besides the gift of tongues, Pentecostals may also use glossolalia as a form of praise and worship in corporate settings. Pentecostals in a church service may pray aloud in tongues while others pray simultaneously in the common language of the gathered Christians. This use of glossolalia is seen as an acceptable form of prayer and therefore requires no interpretation. Congregations may also corporately sing in tongues, a phenomenon known as singing in the Spirit. Several spontaneous practices have become characteristic of Pentecostal worship. Being " slain in the Spirit" or "falling under the power" is a form of prostration in which a person falls backwards, as if fainting, while being prayed over. It is at times accompanied by glossolalic prayer; at other times, the person is silent. It is believed by Pentecostals to be caused by "an overwhelming experience of the presence of God",  and Pentecostals sometimes receive the baptism in the Holy Spirit in this posture. Another spontaneous practice is "dancing in the Spirit". This is when a person leaves their seat "spontaneously 'dancing' with eyes closed without bumping into nearby persons or objects". It is explained as the worshipper becoming "so enraptured with God's presence that the Spirit takes control of physical motions as well as the spiritual and emotional being". Pentecostals derive biblical precedent for dancing in worship from 2 Samuel 6, where David danced before the Lord. A similar occurrence is often called " running the aisles". The "Jericho march" (inspired by Book of Joshua 6:1–27) is a celebratory practice occurring at times of high enthusiasm. Members of a congregation began to spontaneously leave their seats and walk in the aisles inviting other members as they go. Eventually, a full column is formed around the perimeter of the meeting space as worshipers march with singing and loud shouts of praise and jubilation. Another spontaneous manifestation found in some Pentecostal churches is holy laughter, in which worshippers uncontrollably laugh. In some Pentecostal churches, these spontaneous expressions are primarily found in revival meetings or special prayer meetings, being rare or non-existent in the main services. Like other Christian churches, Pentecostals believe that certain rituals or ceremonies were instituted as a pattern and command by Jesus in the New Testament. Pentecostals commonly call these ceremonies ordinances. Many Christians call these sacraments, but this term is not generally used by Pentecostals and certain other Protestants as they do not see ordinances as imparting grace. Instead the term sacerdotal ordinance is used to denote the distinctive belief that grace is received directly from God by the congregant with the officiant serving only to facilitate rather than acting as a conduit or vicar. There are 80 Pentecostal denominations that are classified as Jesus' Name or Oneness Pentecostalism (often self identifying as "Apostolic Pentecostals"). These differ from the rest of Pentecostalism in several significant ways. Oneness Pentecostals reject the doctrine of the Trinity. They do not describe God as three persons but rather as three manifestations of the one living God. Oneness Pentecostals practice Jesus' Name Baptism—water baptisms performed in the name of Jesus Christ, rather than that of the Trinity. Oneness Pentecostal adherents believe repentance, baptism in Jesus' name, and Spirit baptism are all essential elements of the conversion experience. Oneness Pentecostals hold that repentance is necessary before baptism to make the ordinance valid, and receipt of the Holy Spirit manifested by speaking in other tongues is necessary afterwards, to complete the work of baptism. This differs from other Pentecostals, along with evangelical Christians in general, who see only repentance and faith in Christ as essential to salvation. This has resulted in Oneness believers being accused by some (including other Pentecostals) of a "works-salvation" soteriology,  a charge they vehemently deny. Oneness Pentecostals insist that salvation comes by grace through faith in Christ, coupled with obedience to his command to be "born of water and of the Spirit"; hence, no good works or obedience to laws or rules can save anyone. For them, baptism is not seen as a "work" but rather the indispensable means that Jesus himself provided to come into his kingdom. The major Oneness churches include the United Pentecostal Church International and the Pentecostal Assemblies of the World. Certain Christian leaders and movements had important influences on early Pentecostals. The essentially universal belief in the continuation of all the spiritual gifts in the Keswick and Higher Life movements constituted a crucial historical background for the rise of Pentecostalism. Albert Benjamin Simpson (1843–1919) and his Christian and Missionary Alliance (founded in 1887) was very influential in the early years of Pentecostalism, especially on the development of the Assemblies of God. 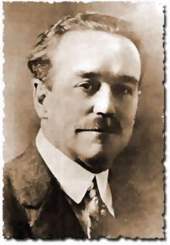 Another early influence on Pentecostals was John Alexander Dowie (1847–1907) and his Christian Catholic Apostolic Church (founded in 1896). Pentecostals embraced the teachings of Simpson, Dowie, Adoniram Judson Gordon (1836–1895) and Maria Woodworth-Etter (1844–1924; she later joined the Pentecostal movement) on healing. Edward Irving's Catholic Apostolic Church (founded c. 1831) also displayed many characteristics later found in the Pentecostal revival. 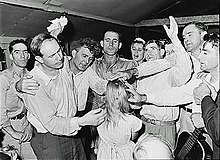 While Pentecostals shared many basic assumptions with conservative Protestants, the earliest Pentecostals were rejected by Fundamentalist Christians who adhered to cessationism. In 1928, the World Christian Fundamentals Association labeled Pentecostalism "fanatical" and "unscriptural". By the early 1940s, this rejection of Pentecostals was giving way to a new cooperation between them and leaders of the "new evangelicalism", and American Pentecostals were involved in the founding of the 1942 National Association of Evangelicals. 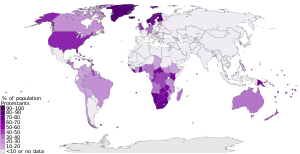 Pentecostal denominations also began to interact with each other both on national levels and international levels through the Pentecostal World Fellowship, which was founded in 1947. Researching Guatemalan peasants and indigenous communities, Sheldon Annis  argued that conversion to Pentecostalism was a way to quit the burdensome obligations of the cargo-system. Mayan folk Catholicism has many fiestas with a rotation leadership who must pay the costs and organize the yearly patron-saint festivities. One of the socially-accepted many to opt out those obligations was to convert to Pentecostalism. By doing so, the Pentecostal Peasant engage in a “ penny capitalism”. In the same lines of moral obligations but with different mechanism economic self-help, Paul Chandler  has compared the differences between Catholic and Pentecostal peasants, and has found a web of reciprocity among Catholics compadres, which the Pentecostals lacked. However, Alves  has found that the different Pentecostal congregations replaces the compadrazgo system and still provide channels to exercise the reciprocal obligations that the peasant moral economy demands. Conversion to Pentecostalism provides a rupture with a socially disrupted past while allowing to maintain elements of the peasant ethos. Brazil has provided many cases to evaluate this thesis. Hoekstra  has found out that rural Pentecostalism more as a continuity of the traditional past though with some ruptures. Anthropologist Brandão  sees the small town and rural Pentecostalism as another face for folk religiosity instead of a path to modernization. With similar finding, Abumanssur  regards Pentecostalism as an attempt to conciliate traditional worldviews of folk religion with modernity. Identity shift has been noticed among rural converts to Pentecostalism. Indigenous and peasant communities have found in the Pentecostal religion a new identity that helps them navigate the challenges posed by modernity     This identity shift corroborates the thesis that the peasant Pentecostals pave their own ways when facing modernization. ^ Koehrsen, Jens (2017-09-01). "When Sects Become Middle Class: Impression Management among Middle-Class Pentecostals in Argentina". Sociology of Religion. 78 (3): 318–339. doi: 10.1093/socrel/srx030. ISSN 1069-4404. ^ Larry Witham, Who shall lead them? : the future of ministry in America ( Oxford University Press, Jul 1, 2005), 134. ^ Alves, Leonardo Marcondes (2018). "Pentecostalism in Latin America, Rural Versus Urban". Encyclopedia of Latin American Religions. pp. 1–5. doi: 10.1007/978-3-319-08956-0_502-1. ISBN 978-3-319-08956-0. ^ a b Chandler, Paul (2007). "The Moral Hazards of Christian Obligations in Brazil's Rural Zona da Mata". Culture and Religion. 8: 33–50. doi: 10.1080/14755610601157104. ^ Freeman, Dena (2013). "Pentecostalism in a Rural Context: Dynamics of Religion and Development in Southwest Ethiopia" (PDF). Pentecostudies: An Interdisciplinary Journal for Research on the Pentecostal and Charismatic Movements. 12 (2): 231–249. doi: 10.1558/ptcs.v12i2.231.